The International Air Transport Association (IATA) reports global passenger traffic results for February show a second month of strong demand growth and record load factors to begin 2017. Total revenue passenger kilometres (RPKs) rose 4.8%, compared to the same month last year. Although this was below growth achieved in January, year-to-year comparisons are distorted because February 2016 was a leap month. Adjusting for the one fewer day this year, the underlying growth rate was estimated at 8.6%, just under January’s increase of 8.9%. Monthly capacity (available seat kilometres or ASKs) increased by 2.7%, and load factor rose 1.6 percentage points to 79.5%, the highest ever recorded for February. “The strong demand momentum from January has continued, supported by lower fares and a healthier economic backdrop. Although we remain concerned over the impact of any travel restrictions or closing of borders, we have not seen the attempted US ban on travel from six countries translate into an identifiable traffic trend. 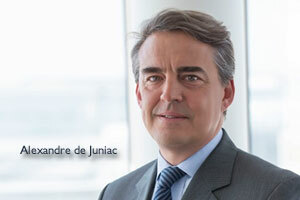 Overall travel demand continues to grow at a robust rate,” said IATA director general Alexandre de Juniac. North American airlines’ traffic climbed 0.3%, which was the slowest among the regions. However, adjusting for the leap year, growth was estimated at 3.4%. Traffic to/from Asia continues to move upward, but transatlantic demand has trended sideways since mid-2016. Capacity inched up 0.1% and load factor edged up 0.1 percentage point to 75.9%. IATA notes that the year has opened with some shocks – including the attempted ban on travel to the US by citizens of six countries and the restrictions on the carry-on of large electronic items from certain airports in the Middle East and North Africa on direct flights to the US and the UK. The potential implications of the Brexit talks on the air transport industry are significant and the political rhetoric of protectionism and closing of borders is adding to the ambiguity. “It’s intolerable that governments continue to add to the uncertainties facing the air transport industry by failing to engage airline operational know-how on issues that can damage public confidence. The introduction of restrictions on the carry-on of large electronic devices was a missed opportunity and the result was a measure that cannot stand-up to the scrutiny of public confidence in the long term,” added de Juniac.